Professional Holistic Counseling, Coaching and Educational Services For Couples In Northern, VA.
Don’t Wait Until Your Relationship Deteriorates Before You Seek Support. Don’t let a crisis destroy a lifetime of happiness. The Marriage Healing Center was created in February 2017, to provide holistic counseling, coaching and educational services to couples in Northern, VA. After over 12 years of serving couples, Life Enrichment Counseling Center, Inc., determined that there is a need to develop a separate Center focusing exclusively on meeting the needs of couples. There is increasing demand of men and women needing specialized services to heal their broken relationship. Many couples are needing support and guidance from skilled therapists to help them navigate through their difficult experiences. Many couples are struggling with issues such as communication breakdown, infidelity, broken trust, blended family challenges, and sexual intimacy. Many are hoping to save their marriage, but struggle to know how they can heal and forgive so their relationship can survive. The Marriage Healing Center is also excited about incorporating educational programs that focus on prevention. We believe that it’s important to be intentional to keep your relationship strong, healthy and passionate. We are also here to support couples who are engaged and want to learn how to prepare for marriage. The Marriage Healing Center Is Here To Help You And Your Relationship Thrive! The Marriage Healing Center offers couples options for those seeking regularly scheduled sessions. Our clinicians are also highly trained to assist couples needing specialized care and guidance to establish loving, mutually rewarding partnerships. These specialized program are available for couples wanting to highlight certain areas of improved relationship satisfaction. Please Contact Our Office Today To Inquire About Our Services. Marriage/Couples Psychotherapy helps couples, married or unmarried, understand and resolve conflicts and improve their relationship. Marriage/Couples therapy gives couples the tools to communicate better, negotiate differences, problem solve and resolve conflict in a healthy way. Christian Marriage Therapy incorporates biblical principles in the sessions. The reasons for seeking Christian marriage counseling are similar to the reasons couples seek traditional marriage counseling. Intensive Therapy is available for couples who are interested in addressing their issues beyond the typical one hour weekly sessions. Ninety minutes to three hour sessions are customized to assist couples wanting intense “hands-on” counseling for immediate relationship transformation. This 8-week counseling program will assist partners to change old destructive forms of interaction. Couples learn and refine communication secrets for ensuring successful expression of each partner’s thoughts, feelings, and requests for joint co-operation. This is a 12-week structured therapy program to help guide couples recovering from relationship injuries such as extra-marital affairs and other broken trust issues in the relationship. Emphasis is on understanding why the affair happened, grieving the loss, how to forgive and how to move forward with the relationship. This is a six-week program focusing on how to increase intimacy in the relationship. Emotional and sexual intimacy will be discussed. Safety issues will be discussed in the session to allow the couple to be open up about their desires. Having and raising children can be the most rewarding life experience for couples. However, it can also be the most challenging. Talk about a major life change. This is a 7-week program to help engaged couples prepare for a successful marriage. The pre-marital counseling sessions incorporate Biblical principles. We utilize the book “Getting Ready for Marriage” by Jim Burns and Doug Fields. This type of therapy approach shows couples how to reconnect using a new way of talking together, called the Imago dialogue. It’s a way of listening and speaking which helps you learn more about each other. Mindfulness is a form of meditation. Mindfulness helps you to be in the present moment with awareness. You can be aware anywhere, anytime and with anyone you like. Couples experience self-discovery together. The Marriage Healing Center will have yearly retreats in the fall for couples who would like to get away overnight to work on strengthening their relationship. 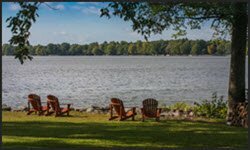 The retreat will incorporate techniques for improving communication, working through frustrations and conflict, and increasing passion in your relationship. The Marriage Healing Center Wants To Help You & Your Relationship Thrive! The Marriage Healing Center is focused on healing the heart, mind and spirit of couples who are hurting. 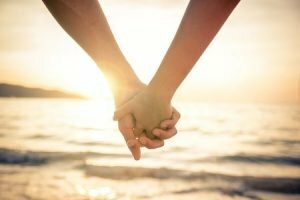 We offer personalized and specialized marriage counseling, coaching, and marital healing programs to help couples learn new techniques to keep their marriage healthy and strong. We also hope that couples will also begin to request preventive services when their marriage is in a good place. Our focus and approach is a marriage-friendly, strengths-based process that we believe is more effective and will ultimately heal and enrich your marriage. We currently serve Alexandia, Gainesville and the the Northern Virgini (VA) and surrounding communities (Washington DC, Maryland, etc.). Looking for for Marriage Counseling Near Me (You)? | Couples Counseling Near Me (You)? At The Marriage Healing Center (Alexandria VA office) our primary focus is to help your relationship to succeed. All of our counselors are well trained (certified) and are highly experienced therapists who specialize marriage and marriage-type relationships healing. We offer a strength-based approach to healing relationships. We are well trained couples specialists who wwill leverage out expertise to empower marital recovery. 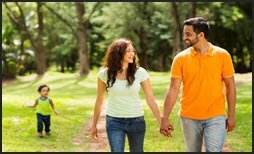 So if you are looking for Relationship Issues Therapists, Psychologists and Relationship Issues Counseling in Alexandria, Alexandria City County, Virginia, we can offer professional and expert assistance to help you rekindle your marital flame! Our #1 goal for you is to help your relationship to succeed. Our primary focus is to provide marriage counseling that can help you save, restore, strengthen, expand and transform your marriage. We have done this successfully for many couples in our Alexandria office. One of our foremost beliefs is a strengths-based approach to marriage/couples counseling that is specifically focused on building intimacy, connection, attachment and healing that can result in helping every relationship. Our counselors are certified, highly trained and highly experienced therapists (marriage counseling specialists) who work exclusively with marriage/couples relationship issues. Get professional Marriage Counseling | Couples Counseling In Our Alexandria office Today! At The Marriage Healing Center (Gainesville VA office) we offer a strength-based approach to healing relationships. We are well trained couples specialists who wwill leverage out expertise to empower marital recovery. 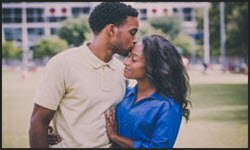 So if you are looking for Relationship Issues Therapists, Psychologists and Relationship Issues Counseling in Gainesville , Gainesville City County, Virginia, we can offer professional and expert assistance to help you rekindle your marital flame! Our primary focus is to help your relationship to succeed. All of our counselors are well trained (certified) and are highly experienced therapists who specialize marriage and marriage-type relationships healing. We have done this successfully for many couples in our Gainesville office. One of our foremost beliefs is a strengths-based approach to marriage/couples counseling that is specifically focused on building intimacy, connection, attachment and healing that can result in helping every relationship. Get professional Marriage Counseling | Couples Counseling In Our Gainesville Office Today! Copyright - Marriage Healing Center, LLC. 2018-2025. All Rights Reserved.